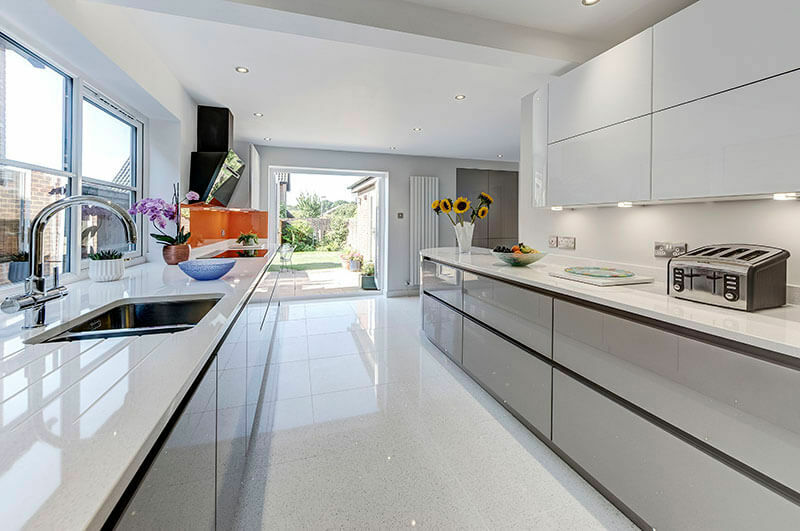 The incorporation of an existing American-style fridge-freezer, together with the addition of steam- and microwave-combination ovens, to be housed together, were particular requirements of the client. 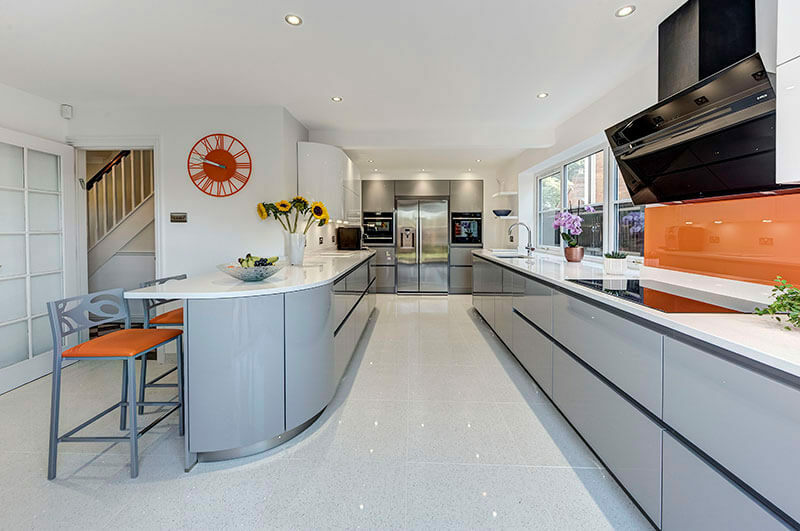 These appliances were integrated into the striking tall units at the far end of the room. 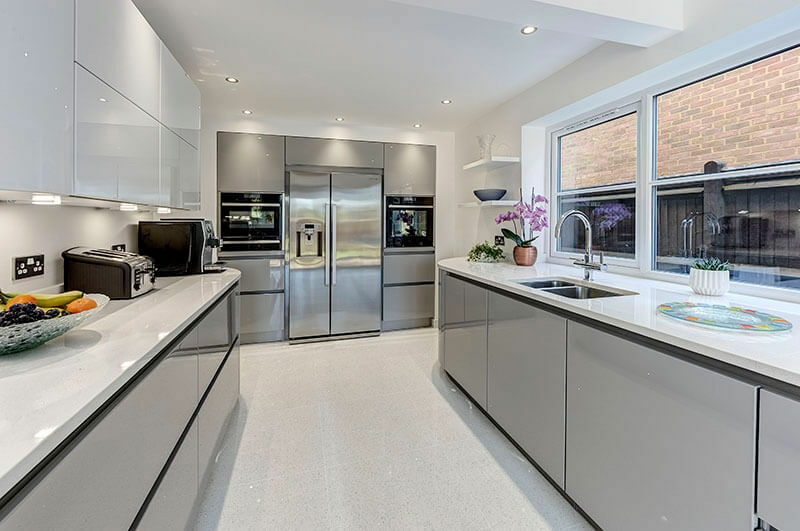 New windows were positioned to allow for the extractor and the eye-catching splashback. 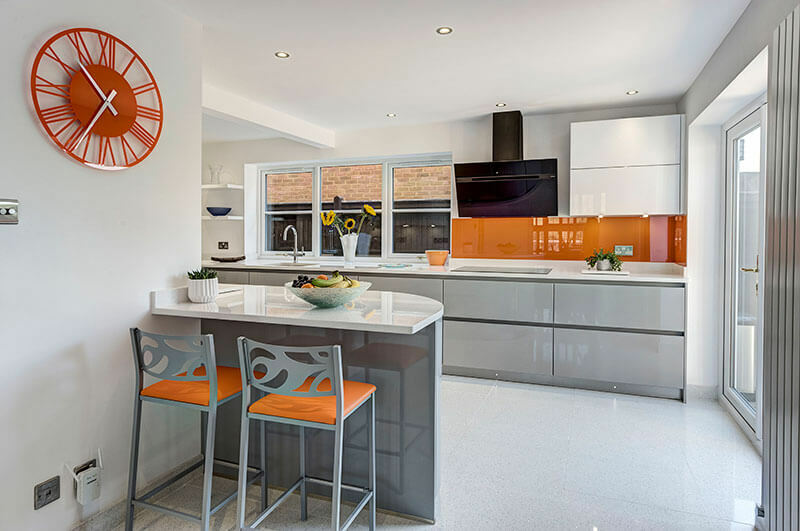 The ‘pop’ of orange, repeated in the seating and clock, complete this chic, low-maintenance kitchen.